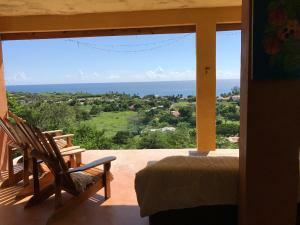 ﻿ Best Price on Seaweed Villa in Treasure Beach + Reviews! Located in Treasure Beach, Seaweed Villa offers an outdoor pool and a private beach area. This self-catering accommodation features free parking and free WiFi in all areas. This villa will provide you with a TV, air conditioning and a balcony. There is a full kitchen with a dishwasher and a microwave. Featuring a shower, private bathrooms also come with a hairdryer. You can enjoy sea view and pool view. At Seaweed Villa you will find a fitness centre and free bikes. Other facilities like laundry facilities are offered. 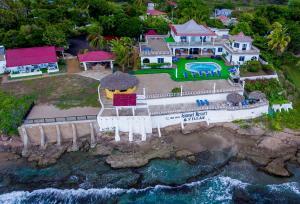 This property is about 2 hours’ drive from Kingston’s Norman Manley International Airport.